“Many grave conditions exist around the world, and people respond in different ways. The needs of poverty, inequality and crises should be high priority — and rightly so — but other needs, such as animal care and concern for the environment, should not be neglected. It is not unusual for Western visitors to notice the number of stray dogs on the streets in İstanbul. Since June 2004 Turkey has embarked upon a major effort to solve the problem of stray dogs in public places. The approach has primarily been to capture stray dogs, neuter and immunize them and then set them free. According to Linda Taal, who reports on AnimalLiberationFront.com, local communities are obliged to deal with the problem and to have a decent shelter where animals can recover. Taal adds that the animals need to be registered and returned to their native environment. Sadly, it seems the situation has not been so in İstanbul, based on Taal’s report. Turks tend to want to purchase a pet from the pet store. It is not uncommon for the pet to be put up for adoption within two years as the family is not taught what is involved in having and caring for a pet. The moral of that story is that Kangal dogs are not house pets. Pet shops are often at fault for not educating their customer about the types of dogs. Usually in a few weeks, months or a year, the dog is back on the street, homeless. A friend of mine who stopped by a couple of weeks ago told me that back where she comes from in South Dakota, the farming community’s dogs are not house pets, either. “There are folks who do not see dogs as a pet and if the dog misbehaves, they just take them out and shoot the dog,” she said.If you visit a local Turkish municipality dog pound, you will not only see the Kangal dog but hundreds of all types of dogs in different shapes and sizes eager to be taken home by you. Tahtakılıç and Mellor point out in their book that the Kangal is the famous Turkish shepherd dog who is the closest friend to the lonely shepherd and the strong guard of his flock. Mind you, he is not really a house pet! Many foreign visitors have never seen a Kangal dog before coming to Turkey and comment on its size. Kangals have played a vital part in the working lives of country people in the Sivas province of central Turkey. The dog has its own striking physical characteristics and unique behavioral qualities. The Kangal is valued for its courage and strength, its loyalty to the shepherd and its devotion to the animals in its charge. If you have ever traveled in Anatolia, you know that the plain is a vast steppe, with mountains and boulders where settlements are isolated and shepherds have to travel miles to find sufficient grazing for the sheep. 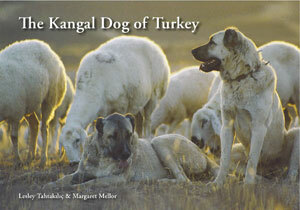 As you read more about Kangals, you will understand that the authors’ intention is to protect the Kangal. Their concern for the recent decades of migration to the towns is changing the way of life in the Turkish countryside and the Kangal’s future. Insights are given on the work of local and international projects to protect this part of Turkey’s heritage. do u have export the kangal puppy to malaysia? how much per 1 male puppy? i can’t find it in my country! i ‘m really like the kangal dog!